FREE postage & packaging - FREE worldwide delivery! Digital download now available (see Special Deal 5)! 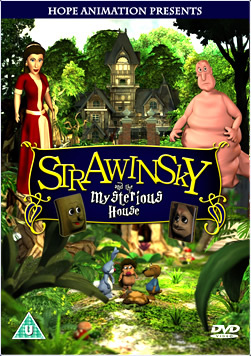 Bonus 1: A printed 32-page booklet about the making and message of Strawinsky and the mysterious house. Certificate: U (Universal) - Suitable for all. Contains no material likely to offend or harm. As you might have gathered from the other pages on this site, this is not a proper professional movie studio and therefore has no financial backers. I'd love to make more animations and movies like this but really need your support! Please buy a copy of the digital download, give a donation and/or tell other people about the animation on Facebook, Twitter, via email and in person! 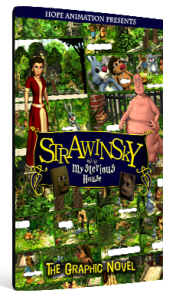 Share Strawinsky with your friends and help us raise funds for our next project! 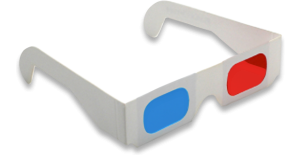 This bundle includes 3 copies of the complete DVD set including all of the bonus items mentioned above (3 printed booklets, 6x red-cyan 3d glasses, digital downloads, etc). 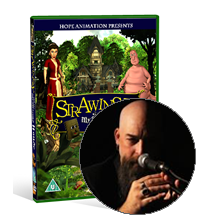 Receive a copy of the Strawinsky DVD (including all of the bonus items mentioned above) together with an unreleased remix of the Ratking song by Eric Clayton, lead singer of US Gothic Rock band Saviour Machine. Ideal for stocking fillers, christmas and birthday presents, holiday clubs, Sunday school prizes, etc. This bundle includes 10 copies of the complete DVD set including all of the bonus items mentioned above (10 printed booklets, 20x red-cyan 3d glasses, digital downloads, etc). 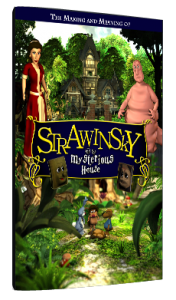 Receive a copy of the Strawinsky DVD (including all of the bonus items mentioned above) together with a copy of the Pilgrim's Progress DVD by Scott Cawthon that inspired the making of the Strawinsky animation. Get a digital download of the film and help us raise funds for our next project! Please allow up to 12 hours to receive the digital download link. For more animations please visit www.hopeanimation.com.